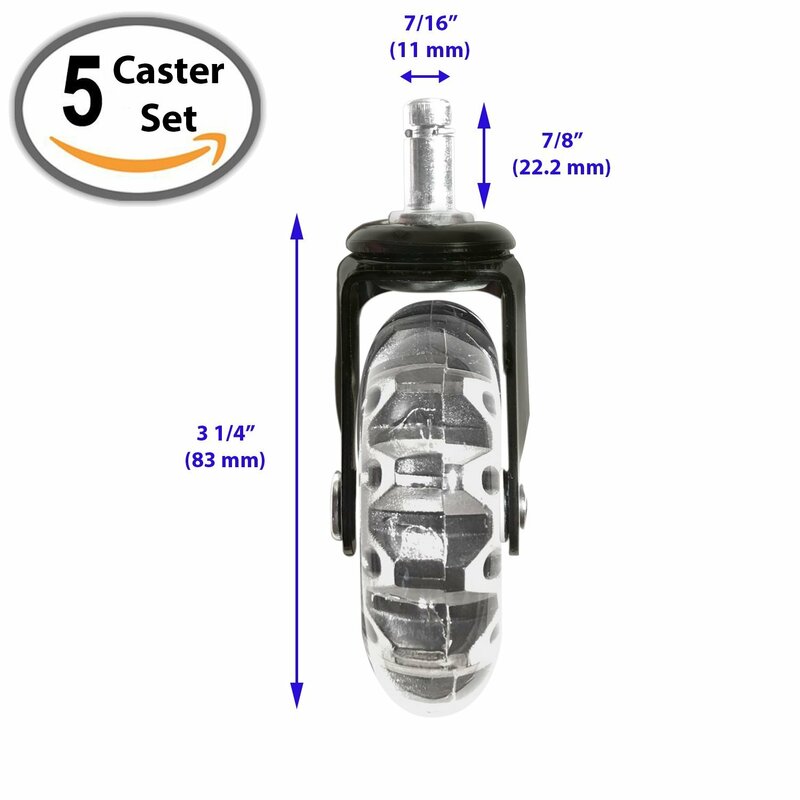 The point of my blog is to let my readers know about products that make life a little easier or better, sometimes it's the little things that mean the most. Things you don't really think about being a necessity, but something that will really impact your day. 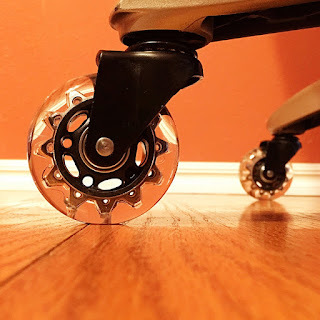 Honestly, I hadn't given much thought to the wheels of my desk chair until recently when I decided to try this (Set of 5) Rollerblade Office Chair Replacement Wheels. What difference! They roll so smoothly! So smoothly, in fact, I'm glad there's not a surveillance camera in my office because I was rolling my chair everywhere in here, spinning, and rolling everywhere haha. I bet I could win a desk chair race! Seriously, these wheels make it so much easier to move my chair around with very little effort. They are so easy to install, just pull out your old wheels and push these into place, no tools needed. I was able to change the wheels myself in just a few minutes. 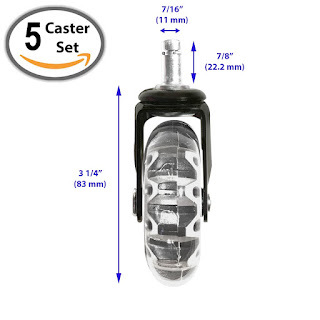 They fit most chairs, check to make sure your chair is compatible, grip ring stem (7/16" diameter x 7/8 " length). These wheels are safe on hardwood floors, they are made of floor safe polyurethane to ensure that they don't scratch or scuff or scrape hardwood flooring or damage carpet fibers. I have hardwood floor in my work space and they don't leave a mark at all on the floor. 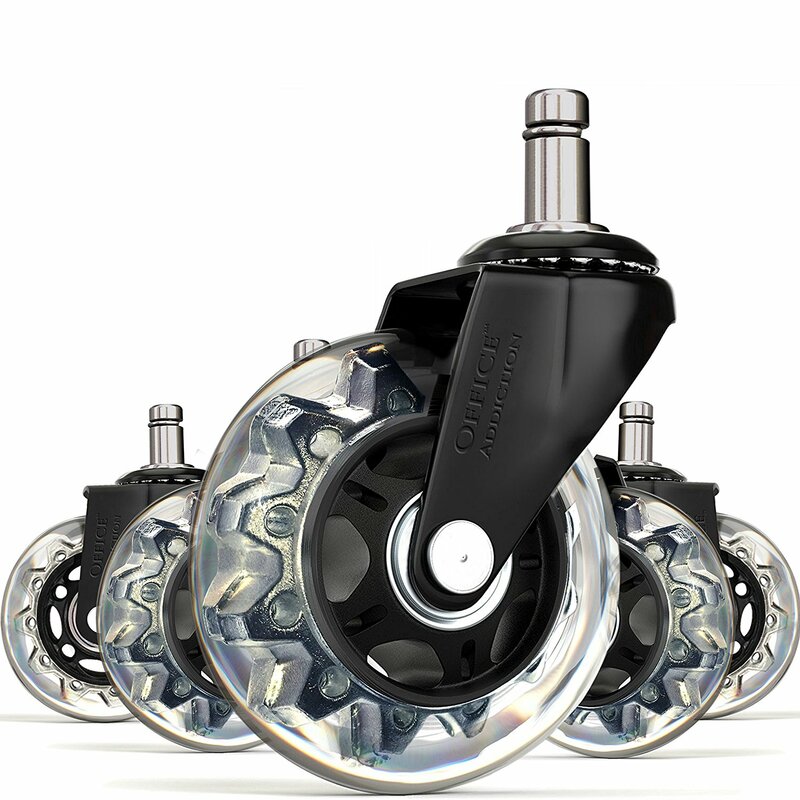 These wheels look nice too, they have a black base plate and transparent polyurethane wheels to match your home furniture or office decor. They look very sleek and stylish. You don't have to stop at using these replacement wheels on only your desk chair either, you can use them on a variety of office, garage and commercial grade equipment, including dollies, trailer jacks and mechanic creepers.These replacement wheels will make a difference in your day,making it so much easier to get from Point A to Point B.
I have always heard that it's the little things that will mean the most to someone, and it's so true. Until I changed my wheels on my desk chair I really hadn't given my desk chair wheels a thought, but they have made a real difference for me. I can't help but smile when I glide around my work space now. You should search for the lightest weight seat that still has the most elevated weight edge rating and the most elevated guarantee. Regardless of the possibility that it implies spending all the more now, it pays to put resources into quality.